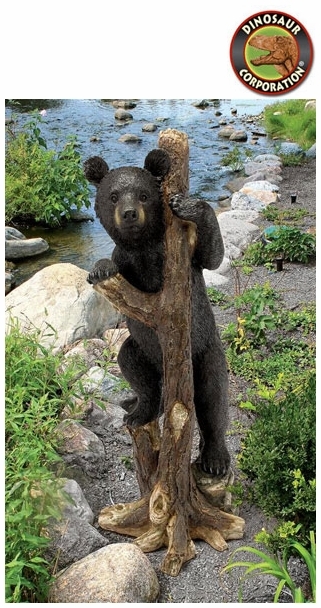 Bear Cub Statue Garden Outdoor Sculpture. With big dark eyes sure to melt any animal lover's heart, our Bashful Bear Cub climbs to the top of a forest branch, hungry for his next bear hug! Artist Lightfoot, well known for realistic, naturalist sculptures, captures the adorably powerful paws and furry predator enthusiasm of this trophy bear statue. * Size: 12�" W x 14" D x 34" H.